According to the GoFundMe page set up by Jacob’s mother, the family admitted him to Barbara Bush Children’s Hospital on October 11 with the understanding that he would pass away within a month. On the big day, his room will transform into a winter wonderland — snow, sparkling tree and all (even Santa). 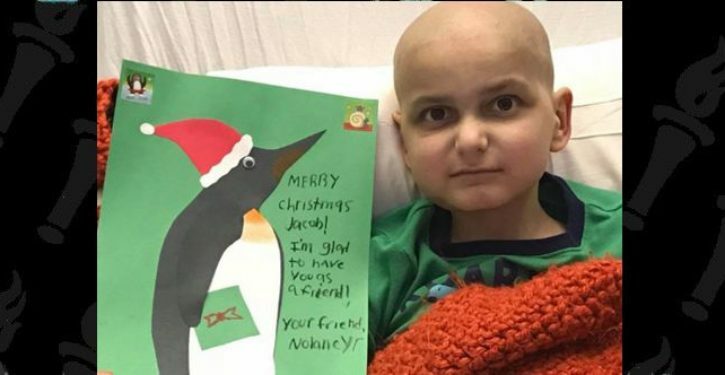 But Jacob has one request: cards from anyone “inspired to reach out” to help bring the Christmas cheer.